Toolsets tend to be the most overemphasized part of self-defense. All over the world wide web, arguments regarding equipment run rampant. This caliber or that. This brand of pistol versus that brand. This type of holster is better than that type. And, none of it is worth the bandwidth it takes up. The student is not proficient with their chosen equipment (lack of training). The student’s equipment is preventing them from performing efficiently (improper equipment). Caliber doesn’t matter. Brand doesn’t matter. Grip angle doesn’t matter. Does the equipment run? Does it allow the shooter to perform? Those two things are pretty much the only two that matter. Does comfort matter? Only in as much as it allows or prevents the shooter from performing efficiently. How about capacity? Again, only in as much as it allows or prevents the shooter from performing. I can understand, grudgingly, why individuals are so passionate about certain opinions when it comes to their toolset. Self-defense is a balancing act. Speed must be balanced with accuracy, power with agility, fierce violence with a calm head. Each of us places emphases on different aspects of self-defense. There also exists the question of ‘enough.’ Is 6 rounds enough? Is the .380 enough? On and on, around the wheel of opinion we go. If there was a definitive answer to all of the questions surrounding toolsets, all of us would be carrying the same equipment. There is no definitive answer, so we have to stick to generalities. But we can get a good idea of what works and doesn’t work, even having to use general terms. Regardless, the two primary questions we should be asking ourselves regarding our toolset is: Can I use the equipment safely and efficiently? And, does the equipment perform to an acceptable standard? If the answer to either one of those is no, then we need to either improve our proficiency, in the case of handling the equipment. Or, we need to purchase better equipment, in the case of the equipment not performing to an acceptable standard. This is the crux of the situation however. Most shooters I see, haven’t tested their toolset. I’ve always told my students that one of the biggest benefits of attending a training class is that they will find out what equipment works for them and what equipment does not work for them. They will also find out where and how they can improve proficiency with their chosen equipment. I’m not talking about crawling around in the mud pretending to be a Navy S.E.A.L. and trying to break your equipment in order to test it. I’m talking about using your equipment normally and repeatedly to see if it works for you. If you’re constantly flubbing the draw on your pistol, perhaps a new or different type of holster is in order. If your flashlight isn’t bright enough to illuminate a target in the dark; or it’s too bright and causes you to become disoriented, it most definitely is time for a new flashlight. 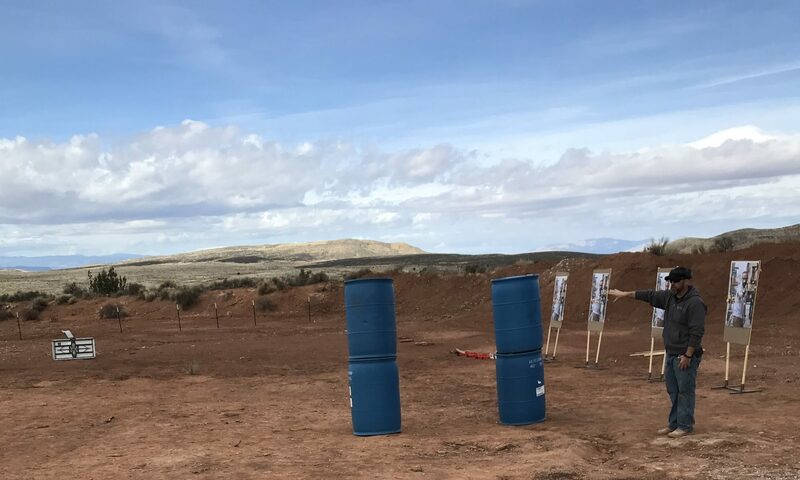 Most shooters who attend training classes progress from equipment they thought would work well for them, to equipment that actually does work well for them. This is what it’s all about when it comes to our toolset. Take caution not to fall prey to the celebrity endorsement. Just because you’re using the same brand of basketball shoes that Michael Jordan uses, that does not mean you can play basketball as well as Michael. Larry Vickers might like certain sights on his pistol, but, does Larry have the same astygmatism that you do? Does Larry have the same visual acuity that you do? Choose your own equipment based on your needs. Test your equipment under realistic circumstances for several repetitions to make sure it not only works, but works for you.